Remains of fishes, turtles, birds, and mammals are described from the Upper Miocene (MN13) Shkodova Gora locality (Ukraine, Odessa Region), the only representative locality of Pontian large vertebrates in the northwestern Black Sea Region. Asiatic fish and avian taxa are recorded for the first time in the Upper Miocene of Europe. The Shkodova Gora ichthyofauna includes eight freshwater fish species (belonging to Acipenseridae, Cyprinidae, Siluridae, and Percidae). Taxa that have previously been recorded only in Western Siberia (Abramis bliccoides, Perca lepidopoma), eastern Kazakhstan, and the Altai Mountain (Rutilus tungurukensis) are revealed. Acipenser gueldenstaedtii is recorded for the first time in the Upper Miocene of Eastern Europe. The occurrence of the genus Ctenopharyngodon, a member of the Chinese plain faunal assemblage is of great interest. The Shkodova Gora avifauna (seven taxa) is mostly composed of waterfowl, including Phalacrocorax mongoliensis, which has previously been known only from the Lower Pliocene of Mongolia. The finding of Proanser major is the youngest record of this species in the fossil record. Mammals of the Shkodova Gora association include a hare resembling Trischizolagus dumitrescuae, Palaeoryx cf. pallasi, and Hipparion cf. moldavicum, which have not been mentioned among Pontian taxa of the northern Black Sea Region. Pontian paleolandscapes in the area of the Shkodova Gora locality are reconstructed. Original Russian Text © O.M. Kovalchuk, L.V. Gorobets, E.V. Syromyatnikova, I.G. Danilov, V.V. Titov, T.V. Krakhmalnaya, L.I. 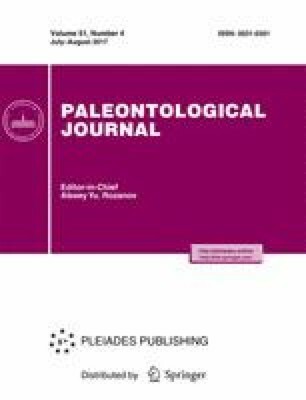 Rekovets, N.V. Zelenkov, 2017, published in Paleontologicheskii Zhurnal, 2017, No. 4, pp. 78–92.